I could tell you how it started off with just 2 vendors and grew rapidly to 9 (! ), a group of extraordinary businesses all from the Townsville area, all with the desire to create something magic. I could tell you about all the drama leading up to the day and how in the week prior to the shoot we lost not only our models but the dress we had planned to use. Or, I could tell you about how we raced the setting sun to capture a story of love. But honestly, it was all how it was meant to be … perfect. Mark + Kelsey, our models, were about to celebrate their anniversary, they actually left our shoot to go out to dinner, which made the day a little more romantic and special. 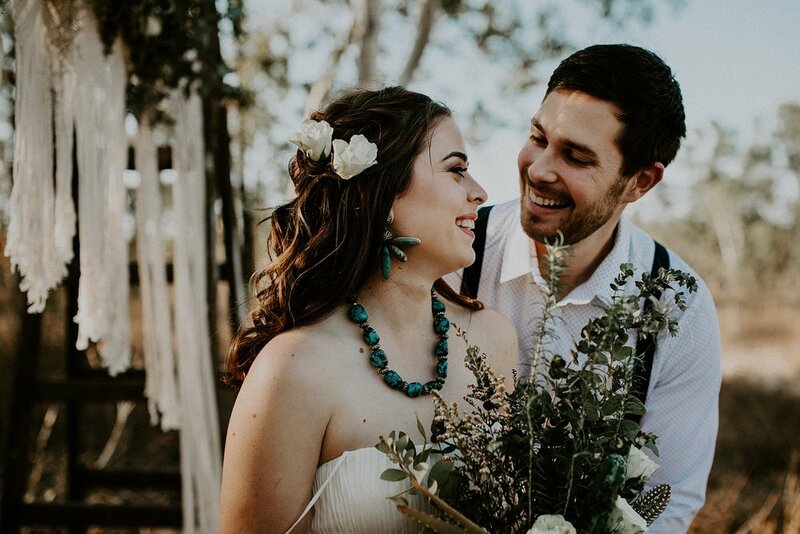 They read their own vows, which you can hear on the film, recorded by Lauren + Douglas Photography and Films. 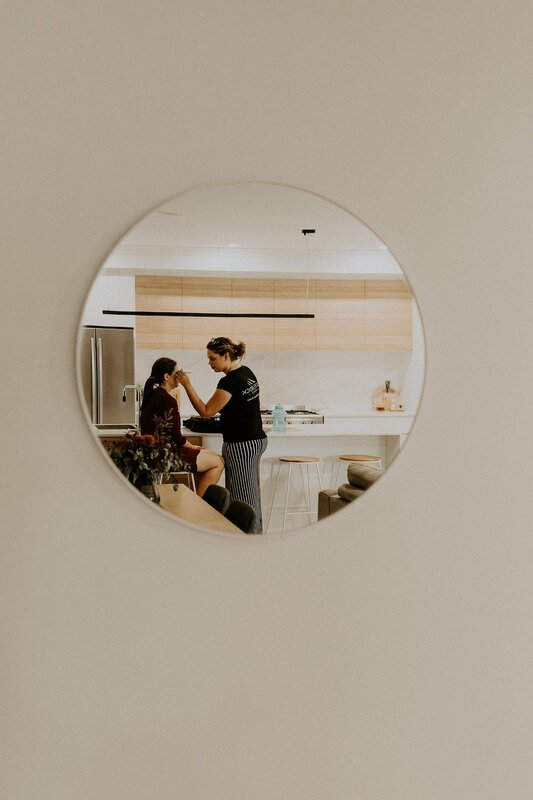 All of the beautiful styling for the day is done by The Vintage Styling Co, we could not have asked for anyone better, Kassie’s vision and attention to detail was second to none. 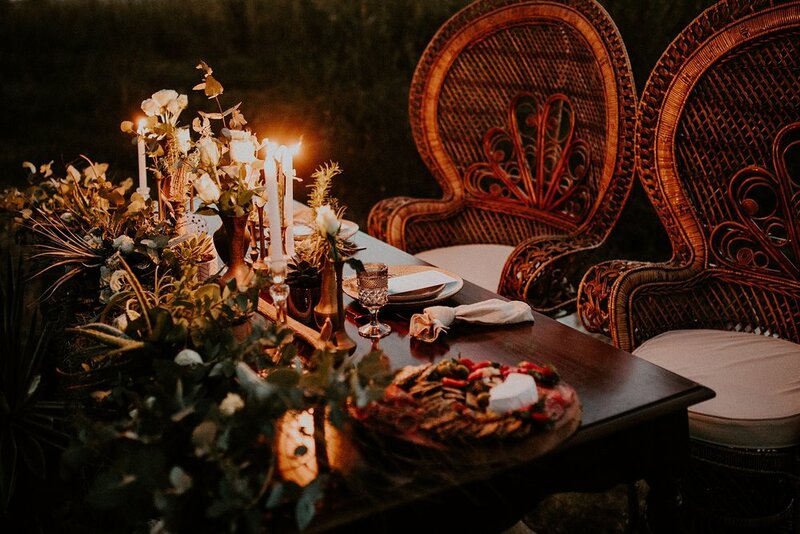 Max and Lacey Floral Designs used a combination of Native Australian flora, succulents, feathers and white roses which gave the floral elements so much intrigue and texture. Paper and String made a chocolate cake that was simple and yet elegant and most importantly, rich and chocolatey - what more could you ask for in a cake? But, not to be out done, To The Wall Hire brought along their donut wall … and donuts of course! Eating the donuts at the end of the day was a highlight for many. Our food platter was not only delicious and aesthetically appealing but also super healthy and organic, all of this scrumptiousness can be found at Family Life Organics. 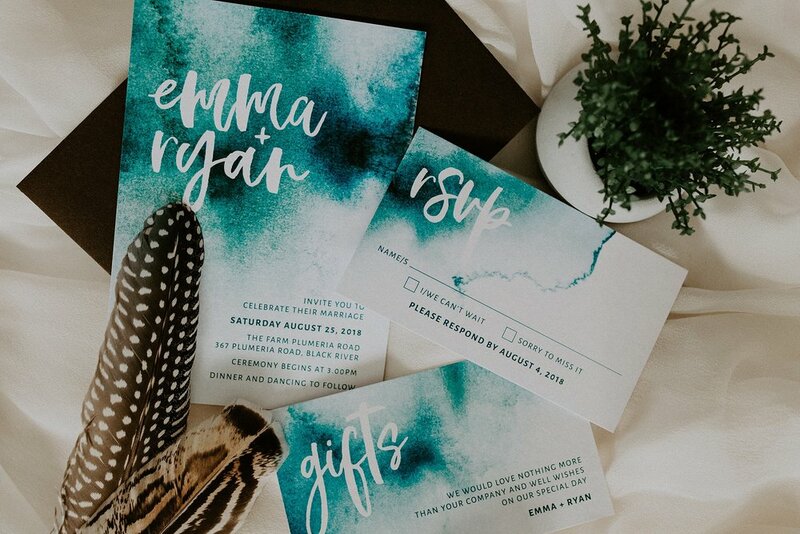 Let’s not forget the stationary, which I know you have been eyeing off since it’s the first photo and who could ignore that beautiful teal colour, you can thank The Ink Garden Design Studio for that little bit of magic. Last but definitely not least our bride for the day’s beauty was only enhanced thanks to the lovely Chloe Wheeler - Make Up Artist and she was adorned in luscious silk from Signature Bridal and Formal . 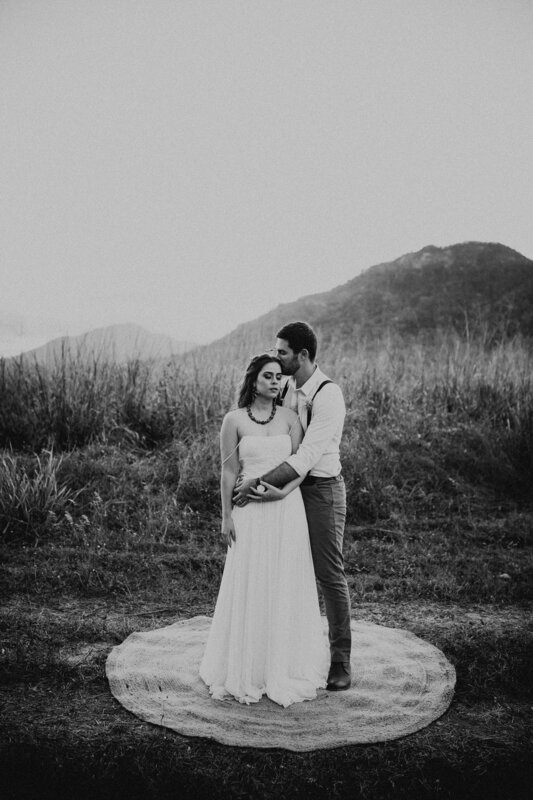 The picturesque backdrop on which you see in all of this day was none other than The Farm - Plumeria Road, who were so accommodating to us and I just know they will be to you as well.